Peter wants to walk on water, so Jesus invites him to do so. The wind picks up a bit and he gets scared. This is not the first gust of wind Peter has experienced on the water—he is a fisherman by profession, after all! 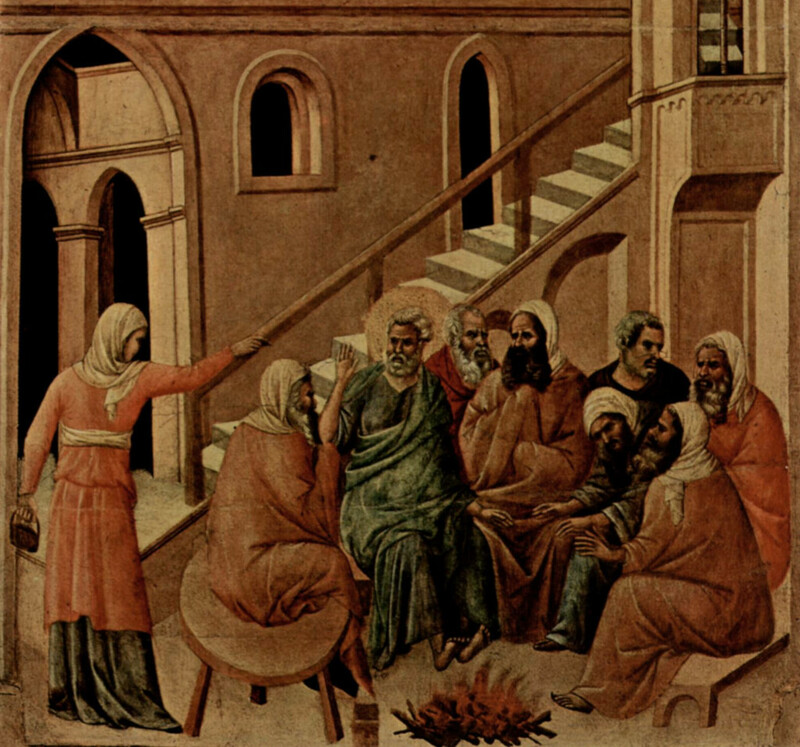 Among the Apostles, Peter is selected as the leader. Jesus gives him the keys, and as soon as he gets his hands on them, Peter starts telling the Lord what to do. Sheesh. At the Last Supper, Peter vows that he will follow his Master, even to death. Then, when asked by a woman if he knows Jesus, Peter becomes petrified with fear. His denial of Jesus is more than a momentary hesitation—he repeats it three times. Imagine if a soldier had asked him if he knew the prisoner! Peter would have fainted! So, why do I love St. Peter so much? Because in each of those three situations (and in many more) I can see myself. At times, I too want to do the impossible. I ask God to grant my wish, but as soon as I step out, I falter at the first signal of opposition. In my prayer, I sometimes find myself telling God what to do for me, instead of asking with humility. And, lastly, I don’t always give a testimony to my faith when I am persecuted or questioned. There is one more thing that attracts me to Peter, and that is his promise to the Lord. Each of us is called to live the Evangelical counsels (poverty, chastity and obedience) according to his/her state in life. Peter, in one of his last encounters with the Lord, got it right. In a way, he vowed to live these three Evangelical counsels to the full. Jesus asked him, “Do you love me more than these?” More than who? Was it the other Apostles and disciples, perhaps? Or was it a question referring to possessions, power, etc? It’s as if Jesus was asking Peter if he would choose Him as his only Possession, his only Treasure. Christ is calling him to renounce all other attachments and to only cling to Him. Peter replies with a promise: “You know that I love you.” Then the Lord ask him to feed His lambs. The young lambs are most needy, and to him who has just professed a desire to follow Christ in poverty, it is plainly shown that in poverty are found all the riches needed to feed those poorer than himself. This promise of Peter comes with an assurance from the Lord as well: Peter is to stretch out his hands, like a beggar, in his old age. Not in need, however but in praise and surrender as he gives his life for the Lord through a martyr’s death. Only hands that are empty can be filled. A second time Peter is asked, “Do you love me?” This time, the question is simplified, for Peter’s oneness of heart has been established in voluntary poverty. Love is required for a pure gift of self, through which an echo of the original (pre-lapsarian) justice and purity is felt. Peter answers with the beauty of a simple and faithful heart: “Yes, Lord. You know that I love you.” It is then that he is asked to tend the Lord’s sheep. The loving care of a chaste follower of Christ bears the marks of consecration and of witness. Purity puts others before one’s self, and thus gives true care and tenderness. The flock may be fed through poverty, but it can only be tended through chaste love. Now again, just as in the first promise, we see the Lord’s portion: He promises Peter that another will gird him. Chastity is a splendid garment which only the Lord can bestow on a soul completely dedicated to Him. By this promise, Jesus lets Peter know that He will give him the grace to preserve this beautifyl garment in life and in death. A third time Peter hears the question from the Lord’s lips. This time something in his nature rebels momentarily. It is his will. 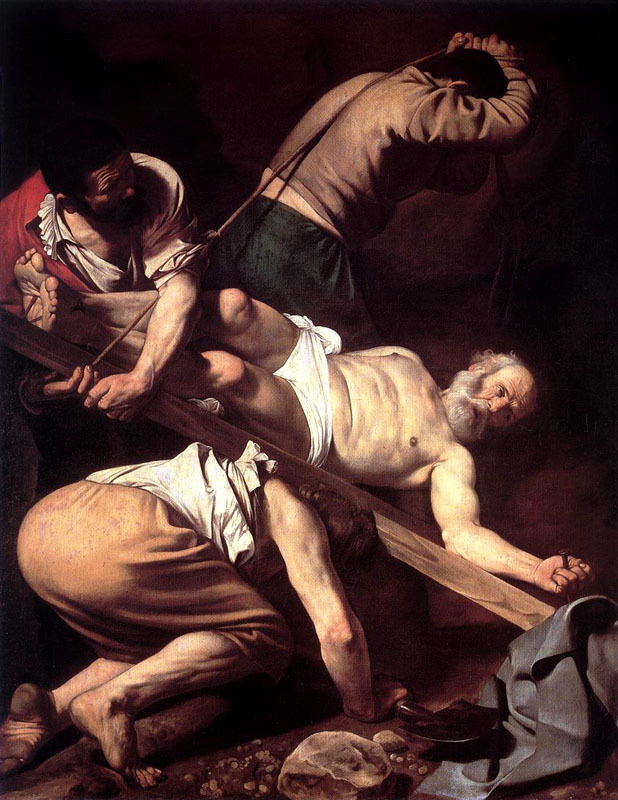 But Peter humbles himself and submits to the yoke of this obedience in his response of love. The request resulting from this profession is that he feed the Lord’s sheep. Jesus, for whom obedience to the Father’s will was as food, now offers this “food” to the Apostle, so that he can feed the sheep. Obedience is the food of those who have matured in the faith, and Peter overflows with this grace. This precious gift must be shared, for who can contain the love of God? For a third promise, there is a third prophecy: Peter will be led where he does not wish to go in his old age. This is the promise of martyrdom, which begins there, on the day of his triple profession of love. Standing there on the sand, he is led to realize that a life of fidelity to Christ will lead to martyrdom. But now a fire burns in his heart, as he sees in this his vocation. Only through fulfilling the Lord’s will can he be fully fulfilled in life! Only through this path can he give glory to the one he once denied. Peter promised, Christ prophesied. The Church stands firm on this foundation. The evangelical counsels are a sure and timeless way by which to come to eternal salvation. Poverty, chastity and obedience call for a “white” martyrdom—the martyrdom in which our own selfish will is subjected and we allow God’s ways to triumph. This entails a death, although not a bloody one. Only a few are called to physically shed their blood. All of us are called to lay down our life, in one way or another, for love of Christ.